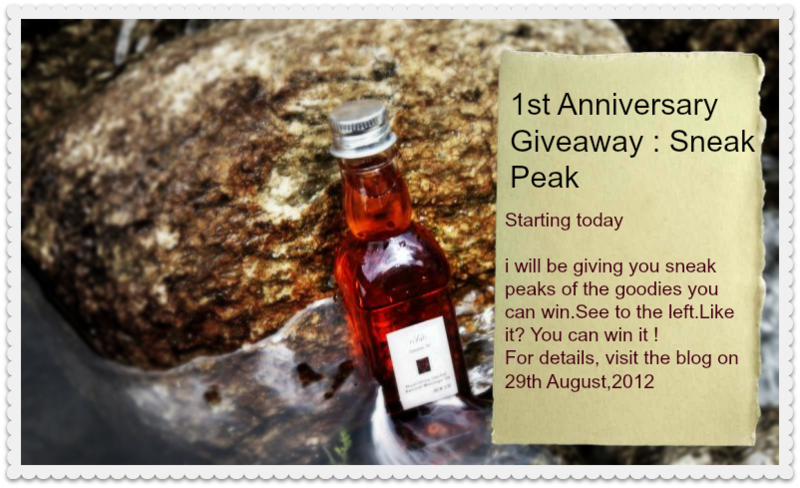 1st Anniversary GIVEAWAY sponsored by nYah worth Rs.6000! The doors to HEAVEN open today! The Fleamarket Queen officially turns 1 today . 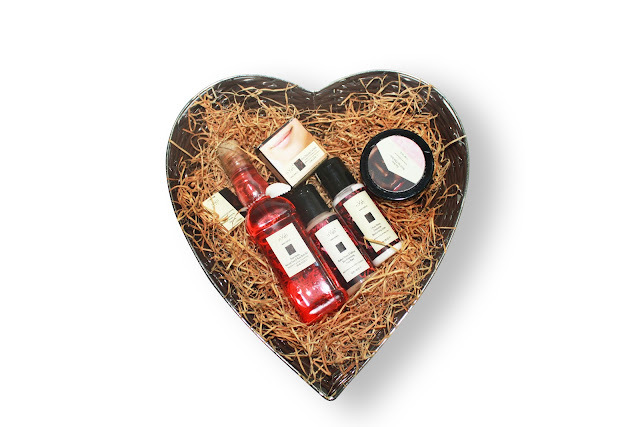 On this very special occasion , I bring to you a heavenly GIVEAWAY worth Rs.6000/- sponsored by nYah - a natural handmade skin care brand . 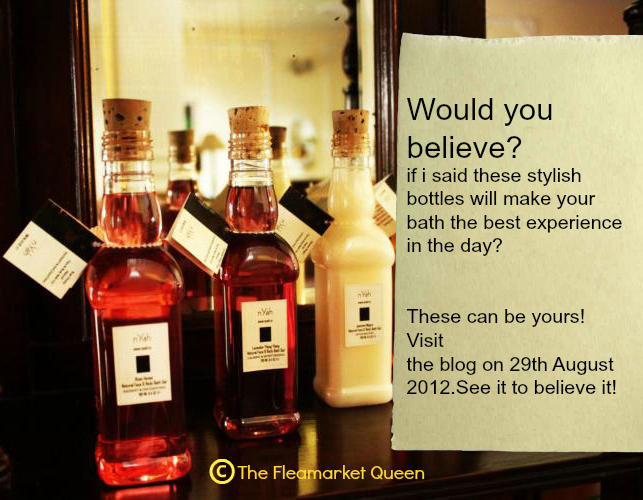 The mystery brand that has been doing rounds on our FB page and the blog is- nYah. I am so glad people at nYah joined in the celebration & agreed to shower you all with their gifts from nature! 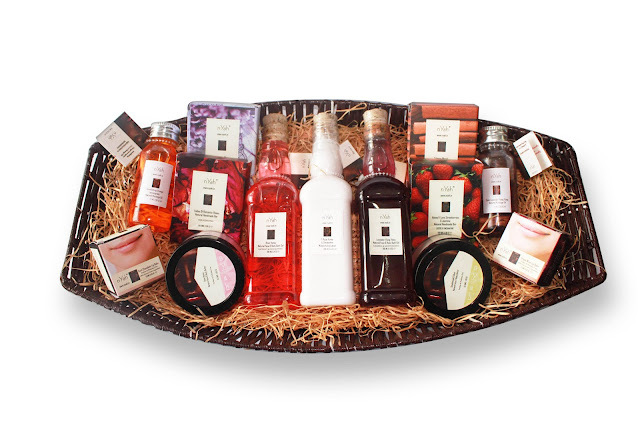 Come spoil yourself with the goodness of these amazing products from nYah. They are too good to be true! Why nYah is not just any other skincare brand! Nyah enriches living experiences and restores the natural balance of Body & Mind through Ayurvedic and Aromatherapy knowledge & wisdom. Founded in 2009, Nyah means “Lustre”- A natural handmade skin care brand having its conscious efforts to give some lost lustre in life of beautiful hearted people by following our most important ethics- Value to nature, ayurveda and life. 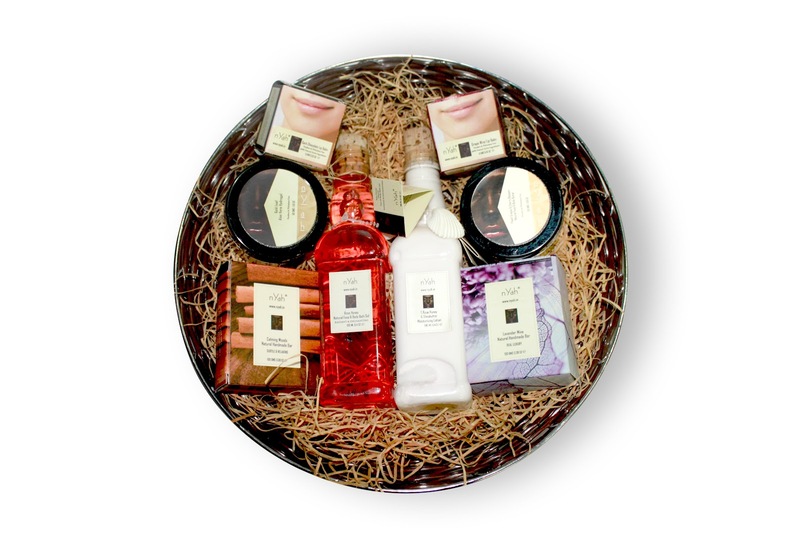 Nyah comprised of a group of beauty experts that are passionate about nature. We use age-old Ayurvedic & Aromatherapy formulations from scholars who practice an austere code and devotion to their incredible font of knowledge to produce a range of natural skin, body, hair care & aura products. Our products are not made in factories in industrial areas, but in villages in Haryana & Delhi surrounded by lush farms & vegetation. The green cover around the factory not only helps us to create products in most hygienic & nature friendly environment that is free from pollutants but also helps us to procure and use locally harvested herbs in our products. Being our factory in local villages we employ rural labour rather than using heavy machinery. We train people making them efficient to create our exclusive & niche range of products as guided by our specialized doctors who created advanced ayurvedic skin care formulations which follows strict ethical guidelines and use most potent and sophisticated natural extracts and actives. More about nYah in my upcoming posts.So keep watching our FB page ,twitter and the blog. I will be sharing my favorite nYah products, till then explore the exquisite range on their website. You can also participate in the giveaway on our FB page.Post all your queries there! 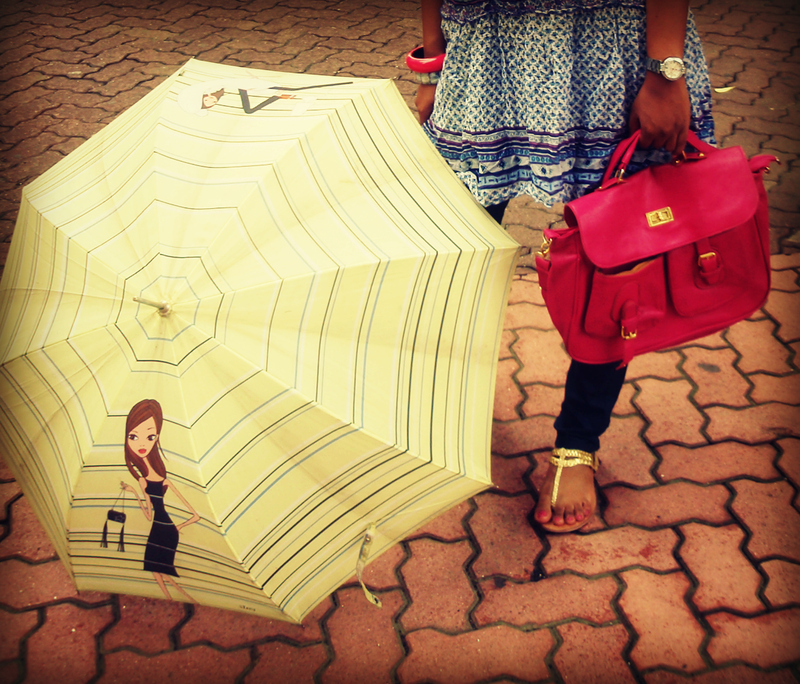 Monsoon : Its raining SALE! The title can be misleading at times. If you think this post is only about SALE, then you are mistaken.And intentionally so! I just couldn't let go off these words, crazy me! I become a complaint box even before the first signs of rain. The molds in my leather footwear, damp feel of my wardrobe inhabitants and the inconsiderate mud splashes from speeding cars all add to my woes. However, this time around, i didn't quite feel like complaining. For the first time i felt, even the rains had more than the word - GLOOMY attached to them. The way most romantics see it. Not a personality conversion this one, but a sudden appreciation for the laws of nature that need to be executed. For all the food that i cherish, rain is the agent. Of-course, i have known this ever since I had been introduced to General Science in class 3. But never felt this way before. Maybe its the rising food prices and the fact that i buy my own groceries! hehe. Or maybe the fact that summers had their way for too long and that first drop of water from the sky felt like a heaven-sent-change! Change , it is and change is good! July-August is when the Monsoon SALE kicks open! Malls get over-flooded with bee-lines of eager shoppers now carrying their own shopping bags! As for me, I was not looking for any new additions to my wardrobe except for a Denim waist. To my surprise , the wish was granted by ONLY.Lucky me! I bought this pretty light blue waist and then went back to the store to buy another in dark blue! When I came back home, I went crazy combining it with all pieces I could think of from my wardrobe. 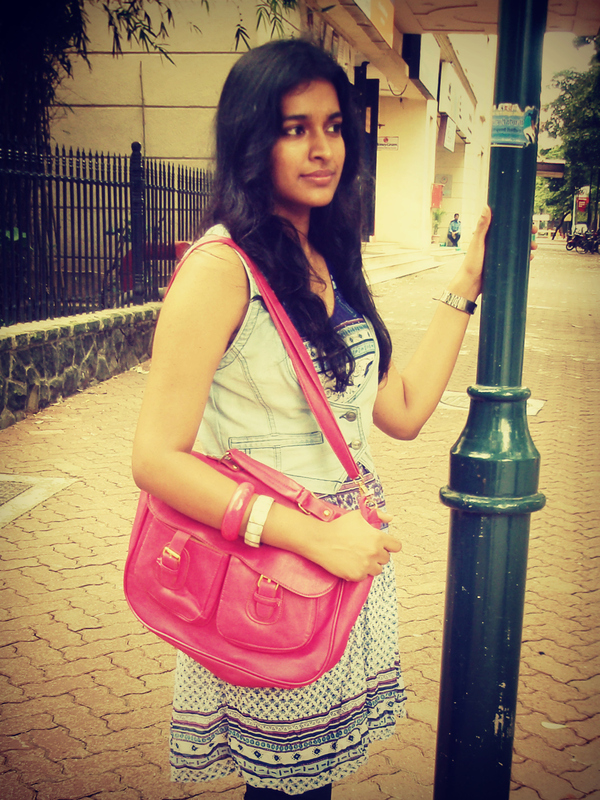 The next best thing about monsoon fashion is NEONS. You see neons in umbrellas, raincoats, gumboots and all things PLASTICKY. Besides, this year , neon has been trending for quite sometime and people can't let go of it! 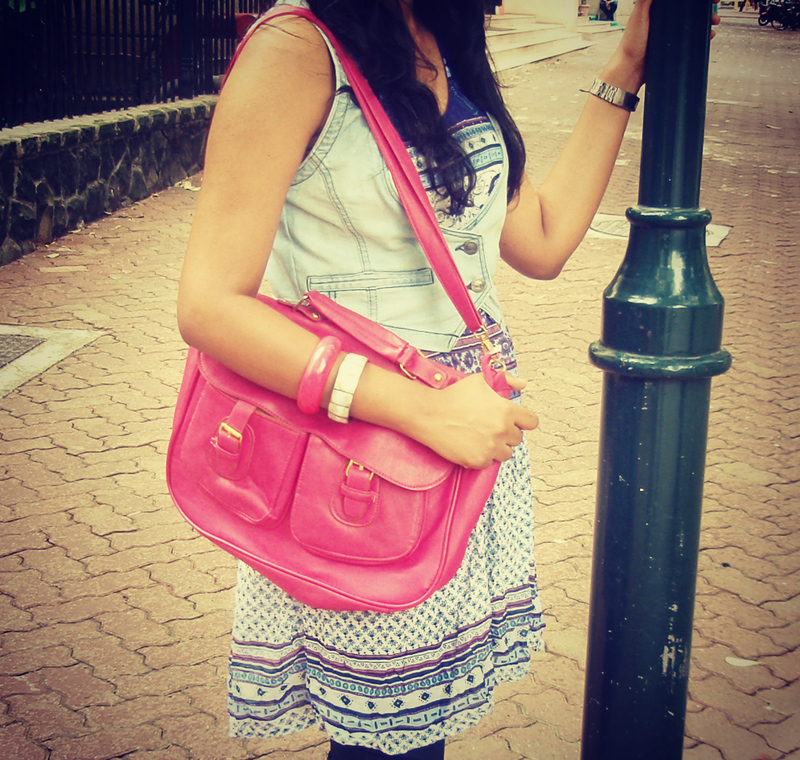 This pretty neon-pink satchel bag is every bit an eye-candy and a must-have. With golden accents it becomes a classy beauty.The tunic here is from H&M and is a pretty piece for the rains with water-color blue print . How can i miss my favorite Umbrella. Its huge ,its generous , it makes me proud. 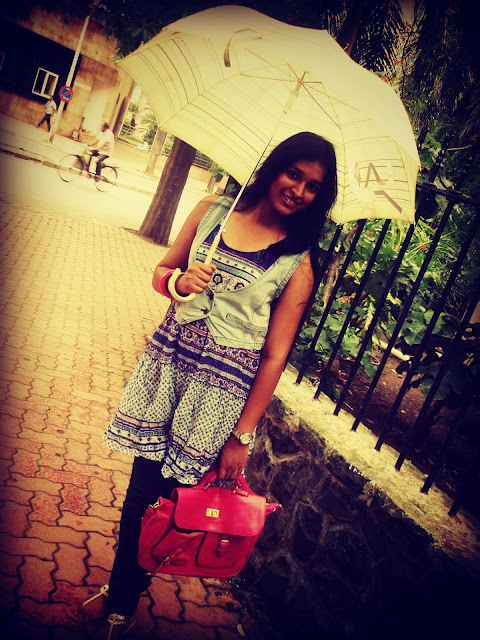 It can fight the windiest of Mumbai rains like a Pretty warrior. people are ready with their superlative expletives! 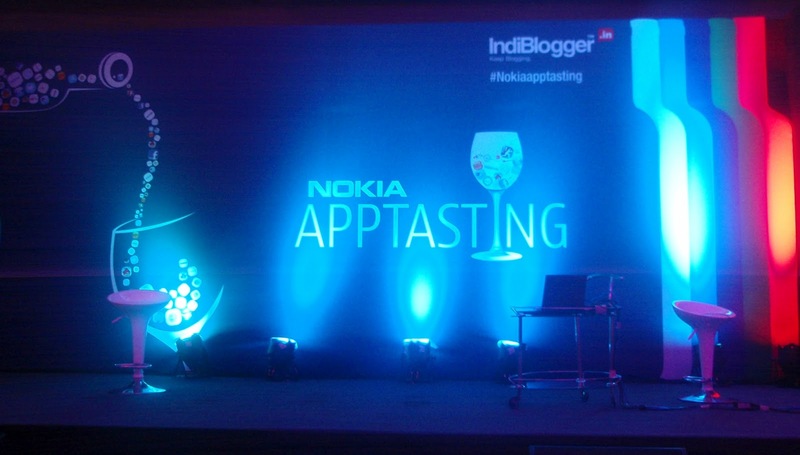 Nokia Apptasting - Wine & DIne in style! 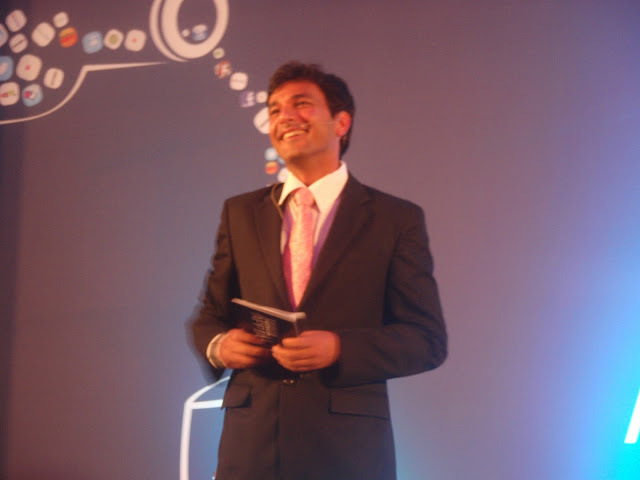 wondered why the most adorable celebrity Chef Vikas Khanna and the most handsome Tech-expert Rajiv Makhni were invited as a team(apart from the fact that Vikas cooks everything Makhni, and Rajiv is Makhni , says Vikas with a chuckle). 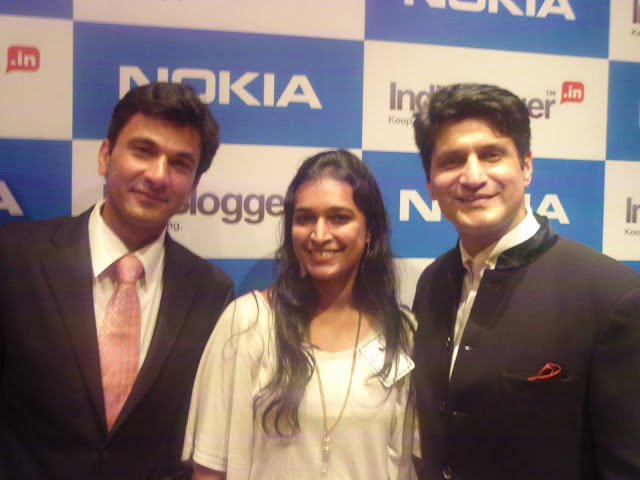 Vikas was voted as 'New York's Hottest Chef' in a poll conducted by Eater. What has NOKIA got to do with food? 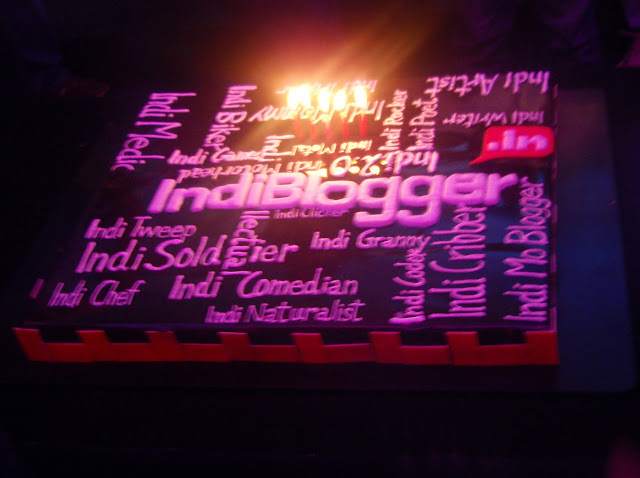 The evening began with the Energy-packed signature move - Hurr, HUrr,HURR by the Indiblogger gang. I wish them a GRAND 5th Birthday.These guys deserve millions of such birthdays in future! only one thing-The Apptasting screen! Apps are nothing but aids to help the aam junta.You need not be tech-savvy to use these! The kind of apps that were showcased were brilliant as they addressed some real painpoints and also let you wine & dine in style. Infact, when bloggers were asked about their dream apps they went crazy with ideas like SLAP APP- to slap every Mumbai Autowallah who denies you a ride! Haha! Smart Group Shot: Often we take group pictures and atleast one person 's photo would be distorted for some reason.This fantastic app from NOKIA, helps you select a person's best image from each group pic and lets you merge all such selections into one! Amazing isn't it?! Nokia City Lens: This one's a game changer! 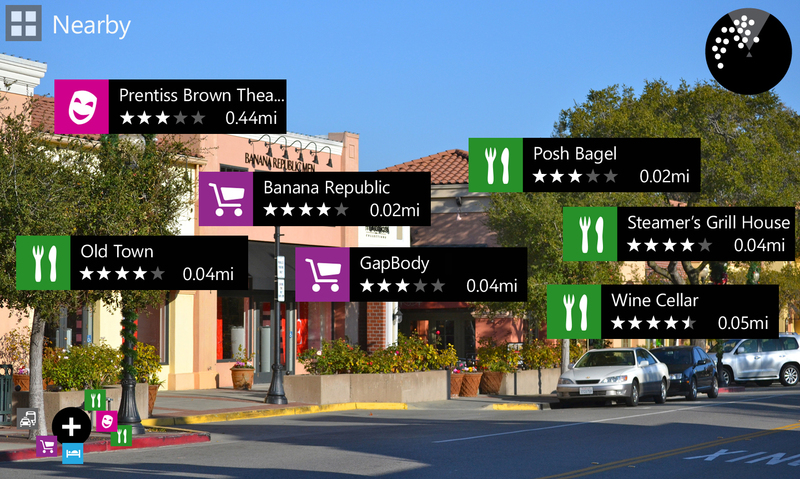 This app scans beyond your four walls and shows places of interest ( dining,entertainment,medical etc.) in the nearby radius & lets you view its opening/closing hours,reviews,photos etc.with a single tap! 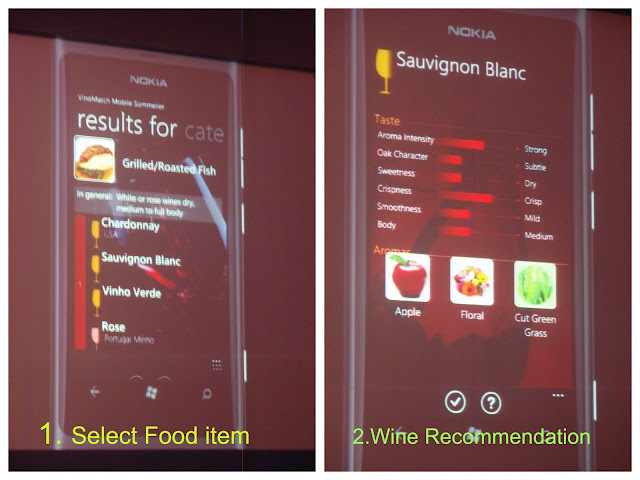 Nokia Food & Wine pairing: Saves you the embarrasment of choosing the wrong wine at restaurants. 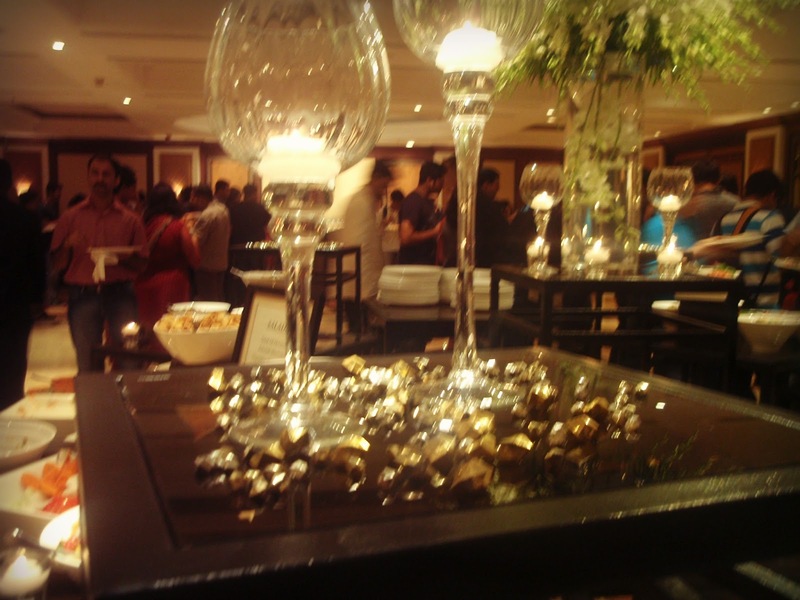 Vikas' joint JUNOON is one of the few wine& dine joints where they insist on pairing food with wine as wine brings out the sumptuous flavors in any food according to Vikas. I am a no wine person, but for all of you out there, this one is surely of help! Alcohol inblood: Tells you whether you are fit to drive! Next time your friend insists , use this app! Be smart, Drive SAFE! A fun contest where Vikas showed a unique way of chopping onions was every bit entertaining as people chopped onions to great perfection. 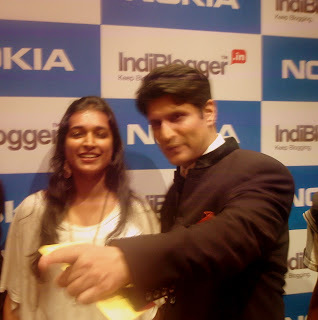 I think the future grooms need training from Vikas on this one! 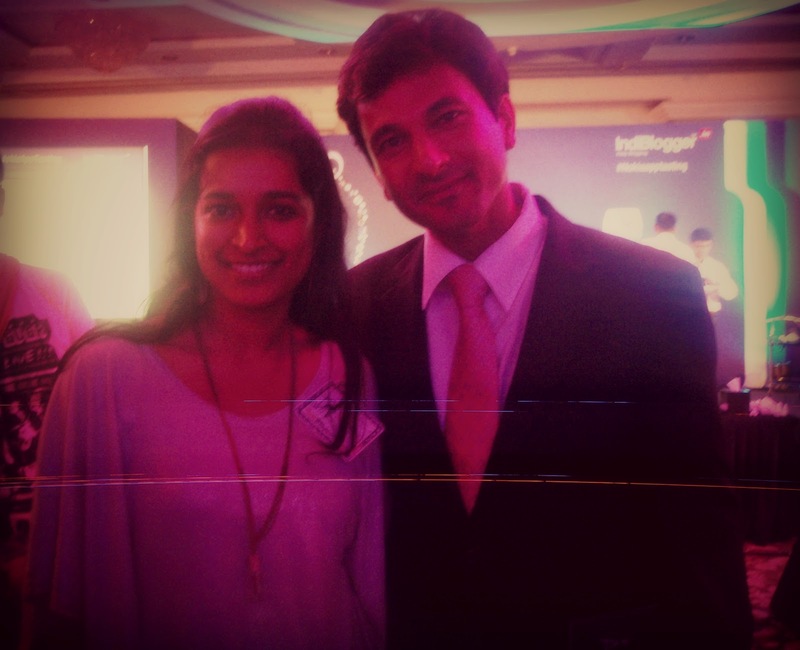 Will share this with you in a separate post! 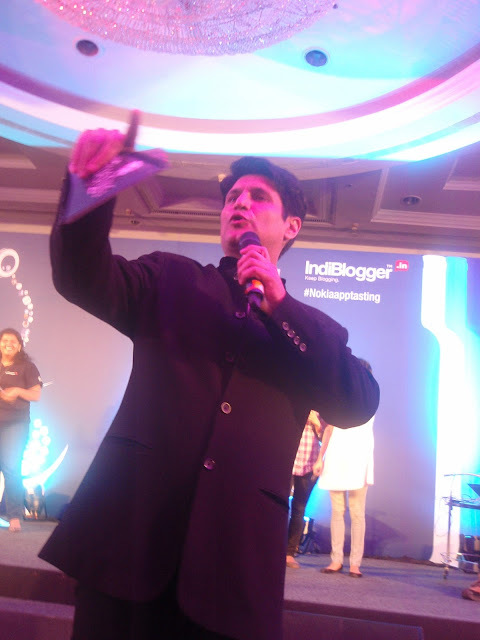 We had a little quiz show (Foodie +Techie themed) where two lucky girls won Nokia Lumias for themselves. How cool is that?! 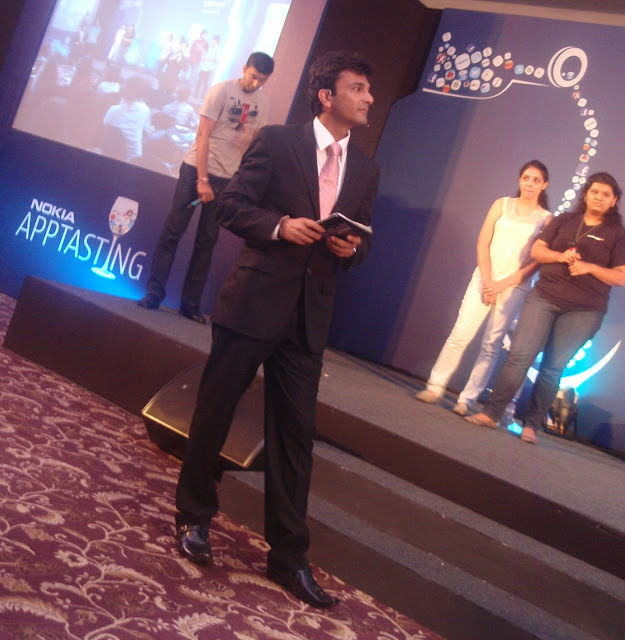 Questions thrown by Rajiv almost confused the contestants to the extent that forgot if they should call themselves foodies or techies. Hehe. Vikas asked a True/False question to the contestants , and realising they answered it wrong , he exclaimed, Shall i Pass this question?! And then he held his forehead with his hands almost in disbelief and couldn't help laughing at himself! Cuteness! Rajiv is a brilliant co-anchor. Quick , witty and fun! When i was discussing mobile phones(my favorite topic)with him it was a valuable information exchange. He doesnt throw any jargons at you. He just can't get over his Punjabi accent and loves it to the core. I will share his interview for TFMQ, in the upcoming posts. If you think NOKIA was drowning,you might be wrong, as you might just drown in the plethora of offerings they will dish out in the near future! According to our gadget guru Rajiv , the future LUMIA series are the ones to watch out for! 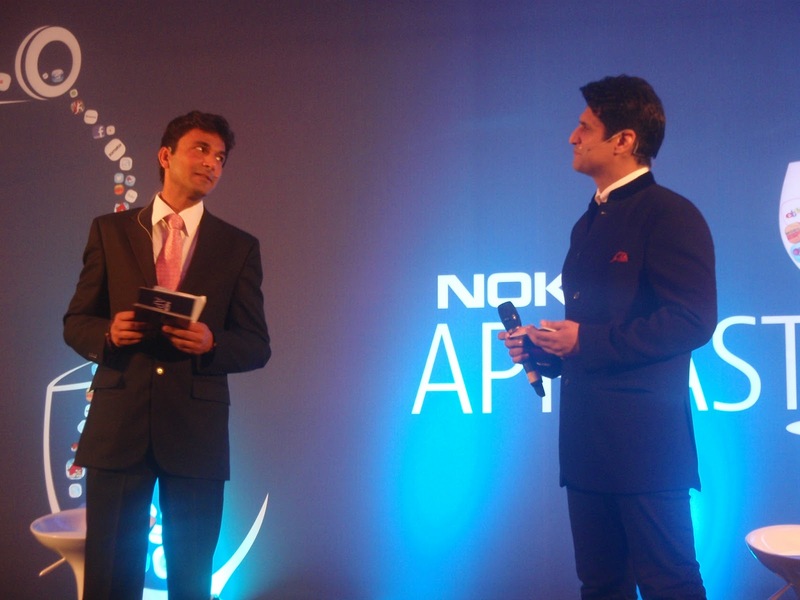 For you dear readers, NOKIA is soon coming up with a contest where you dream an app and if NOKIA feels its worth it, they develop the app and you win! So, guys & girls, Wine & Dine in style! Tell me, which one is your FAVORITE NOKIA APP? 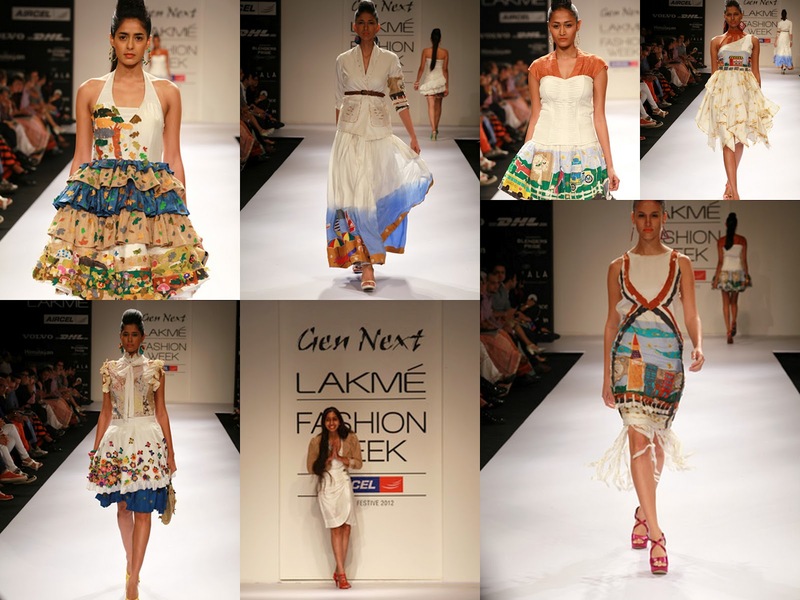 The heat is on in Mumbai since the LFW kicked on 3rd August 2012. The creative expressions in fashion mingle and mesmerize the audience while the backstage chaos strike a balance to hold the adrenaline rush . 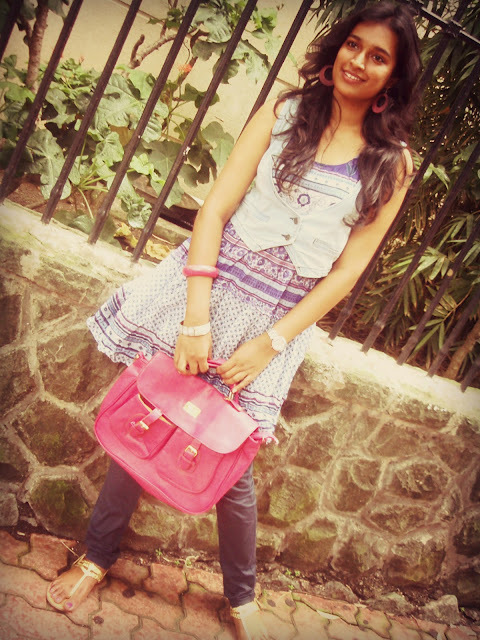 Colors, hues,patterns,cuts are the most frequently used words and they couldn't have been over-used in ages! Two things make me go wow- simplicity and exaggeration- absolute extremes- but both manage to be head-turners in their own way! In this post , we will see the new designers who made it to this season's collection! 7 fresh labels on the menu. 10 new designers.QUIRKY and INNOVATIVE . Inspired by insects,tribal prints, rag-pickers et all. These are the noteworthy designers who made their mark on the runway. His collection reminded me of the ink-stained white cottons during my school-years. The golden accents remind me of the golden caps of the famous Ink pens by HERO. He has played it safe with the INK splash theme. What do you think? She picked up plain white canvasses and painted them with cheerful & cutesy prints much like a children's picture book.Aptly titled as 'Its a Beautiful life' this collection would appeal more to the teenage fashionistas. 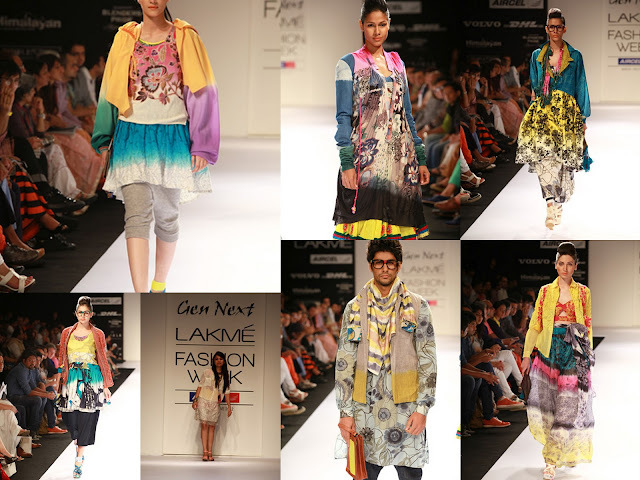 Mix and match the rag-picker way- Richa created quite a roar with models strutting in layers of kitschy numbers.Those are some really brave mixes put together! This is one creation that appealed to one and all because of its simplistic print and a dramatic cut! 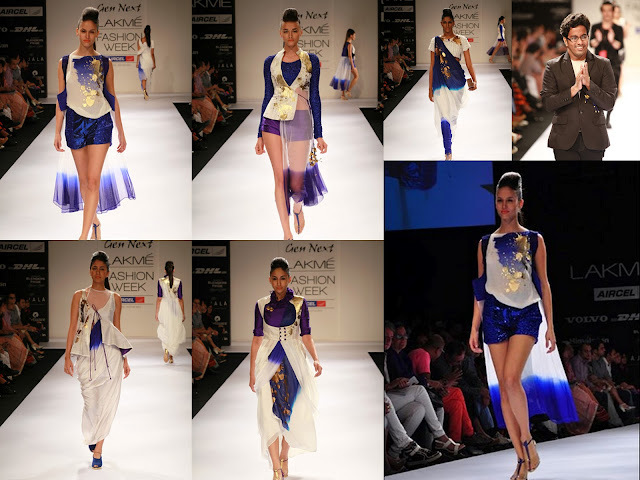 There was nothing much to talk about in the collection by Mehak Pruthi, Kanika Seth & Ankit Sharma - who created there own AVATAR (movie) inspired creations.Sneha Arora tried adding colors to a grey palette, definitely nothing to rave about. Astha Sethi and Siddharth Arora played with yellow,blue and black inspired by bugs , good enough to add some unusual flavor on the ramp but not something you'd take home! Wish these young guns all the best for their future! What is your take on these newbies? Which one do you think has the potential to make it BIG?